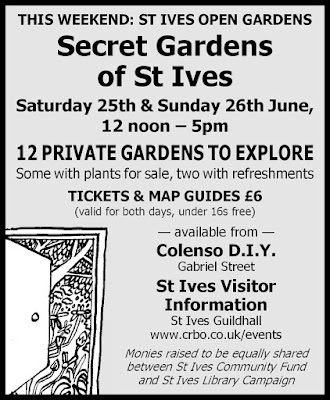 Secret Gardens Of St Ives - ten private gardens, mostly in tucked away parts of St Ives, will be open for the public to explore and enjoy. Saturday 25th and Sunday 26th June 2016 - 12.00 to 5.00 pm. 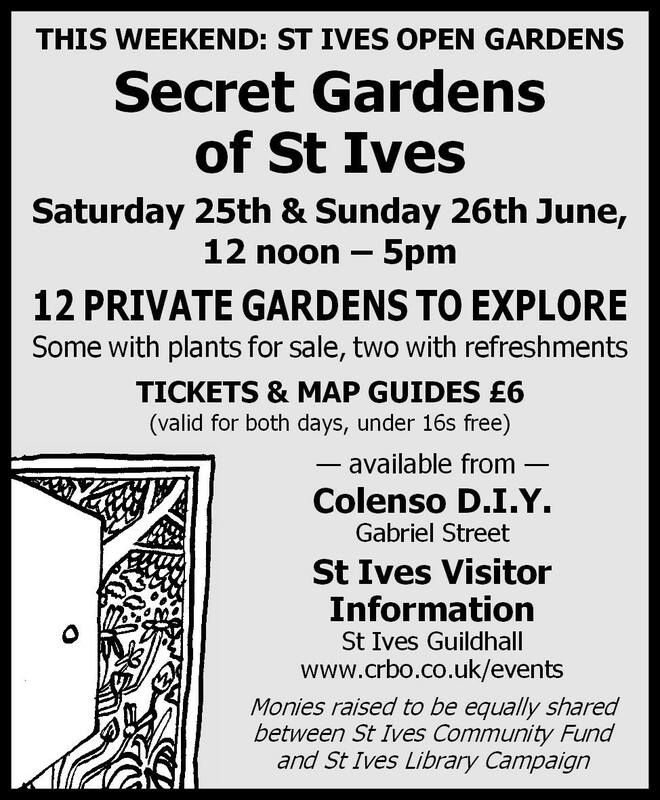 These are not normally open to the public - so this is a rare opportunity to explore Hidden St Ives ! The gardens range from pocket-sized to more substantial plots. 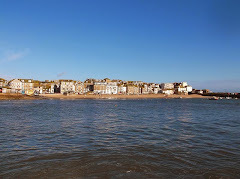 They may be hidden down narrow lanes or command stunning views over the coast. Each one reflects the style and horticultural interests of its owners. Most of the gardens are within walking distance of each other and the town centre. Tickets are £6.00 - under 16s free. One ticket is valid for both days. St Ives Community Fund and St Ives Library. These are available from St Ives Visitor Information Centre at The Guildhall and from Colenso (St Ives most interesting shop !) on Gabriel Street (opposite St Ives Library).